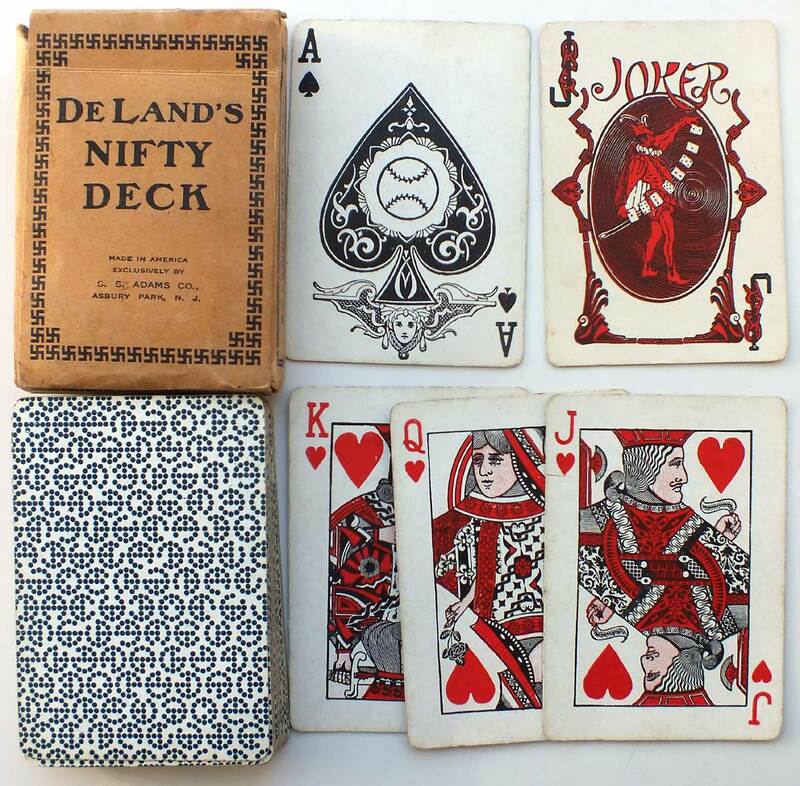 De Land’s Nifty playing cards published by S. S. Adams Co, c.1930. Theodore L. De Land Jr. (1873-1931) was an early pioneer in the use of marked and preordered card decks. Secret markings on the backs of otherwise perfectly normal cards enabled anyone to perform mysterious magical tricks with minimal knowledge of sleight of hand. He sold his card business to S. S. Adams in 1918 who then proceeded to re-publish five styles of De Land’s cards until around 1940. This example uses the clock system of back markings, the second clock from top-left is the key. Above: De Land’s Nifty playing cards published by S. S. Adams Co, c.1930, with baseball ace of spades and specially marked backs. 52 cards + joker + instruction leaflet in box. 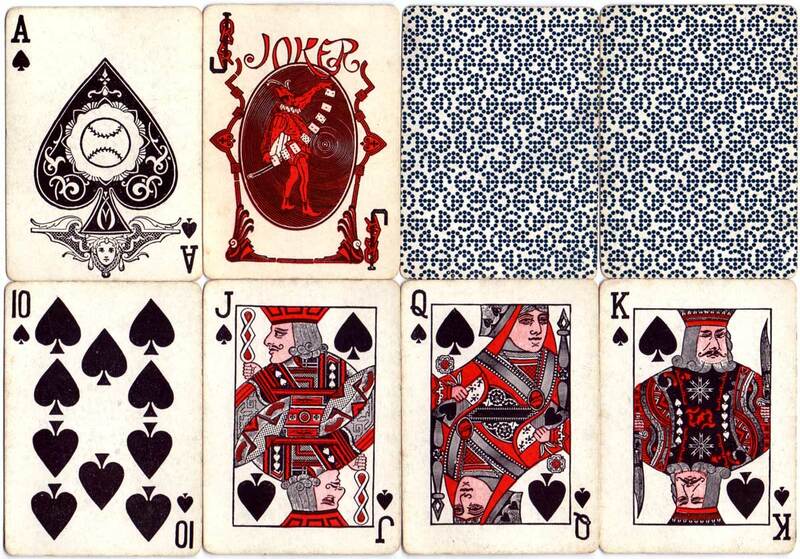 According to the Hochman Encyclopedia the court cards were re-designed in a quirky style by Adams and decks issued after 1925 had the title omitted from the ace of spades when the baseball design was introduced. 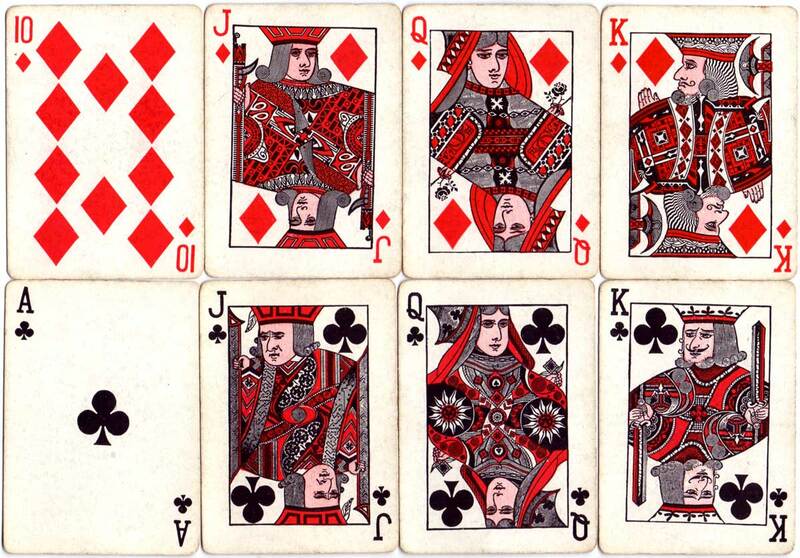 Dawson, Tom & Judy: The Hochman Encyclopedia of American Playing Cards, U.S. Games Systems Inc., 2000 [page 301].